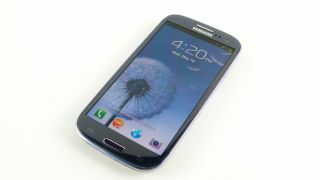 In the 11 months since the Samsung Galaxy S3 first went on sale we've seen plenty of other large-screened Android phones also launch, but none have come particularly close to beating or even equalling Samsung's third Galaxy S.
It's still one of the best phones your battered, ever reducing pile of money can buy. And is now cheaper then ever. But if you're starting to feel a bit of upgrade rage and are jealously eying up 2013's new Android models, perhaps your "old" Galaxy S3 might benefit from a bit of a refresh. After all, the phone's quad-core chipset was cutting edge in 2012, and remains one of the best performers today, so it can still run the very latest games and apps with ease. If you're sensibly sticking with the S3 for another year, get this lot installed and spring clean your Samsung mobile. If you really want to shake things up, install this. Facebook Home an entirely new replacement launcher for Android, meaning it removes the standard Home screen and app drawer system, replacing with an entirely custom interface built around streaming in news and images from your Facebook universe. It's of no use if you only sign into the social network once a month to stare longingly at people you once knew who have now moved on with their lives, but if you're glued to Facebook 24/7 it's a pretty cool way to make interacting easier. Plus your S3 will look and feel like an entirely new phone. Google's desktop browser is replicated extremely well on Android, with plenty of nice design features making it a joy to use. Most useful is the syncing features with the desktop version that activate should you sign in with the same Google account on mobile, with Chrome then letting you access your desktop bookmarks on your phone, view a list of the pages you've had open recently on PC or Mac (often a lifesaver) and sync your password and web form autofill details. It makes using the web on a phone much less fussy. If you're going to be spending more time using your phone as a web browser, LastPass is there to help when Chrome's autofill options fail – or if you'd like an automatic password generator on your mobile to make choosing secure options easier. It handles everything, synchronising data from desktop browsing sessions to add any new passwords to its database automatically and therefore making it easier to use your phone's web browser as a... web browser. The Galaxy S3's display is ideal for enjoying media, so it makes sense to load it up with as many ways as possible to hoover telly up for free. The 4OD app, while not quite as slick as the BBC's iPlayer app, offers access to 30 days of archive material along with a broad selection of classics from the Channel 4 vaults, although it does require a Wi-Fi connection to stream programmes. You'll never be more than a few presses away from all the Father Ted episodes. Seeing as the S3's about the size of a book, you may as well use it like one. Amazon's fantastic reading app clones many of the features found in the standalone Kindle e-readers, letting you throw books into your reading pile direct from Amazon's web site, keep track of your reading progress, edit the page layout, design and font to suit your reading style and much more. Plus when you inevitably get bored, you can head back to Twitter and Facebook and games. It's loads better than using a boring old Kindle.